For anyone who is looking for ways to manage their incontinence their first thought is most likely about the incontinence products they need to use. If you are not familiar with the incontinence products of today you may be filled with dread at the thought of using bulky, ill fitting adult diapers. However, today that is not the case. 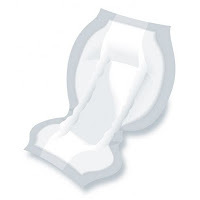 You can find all types of adult incontinence supplies for people of all ages and needs. There is even incontinence products for men and incontinence products for women. This way you can choose the incontinence undergarment that will work best for you. Many people choose to use an incontinence underwear that can be worn with or without incontinence pads while others turn to the convenience of adult diapers. All of these incontinence supplies can be bought on sites that offer adult incontinence products. Not to long ago, incontinence sufferers had very little to choose from. Most people who were trying to manage their incontinence had to choose an adult diaper that was nothing more then a larger version of a baby’s diaper. They were bulky, made of material that rustled loudly, and had serious fit issues. Most people had to dress around their adult diaper rather then being able to wear normal clothes. Today’s adult diapers are far more streamlined and hug the body to give discreet and comfortable protection. Most people who choose to wear an adult diaper do so because of moderate to heavy incontinence. Another recent evolution in incontinence products is the development of incontinence undergarments. There are many different styles of this type of incontinence product with the most popular being incontinence underwear that looks and feels much like normal underwear. As mentioned above these incontinence underwear can be worn with or without incontinence pads that offer a higher degree of absorbency and protection. Best of all most of these type of incontinence supplies come with odor and bacteria blockers that make them much more comfortable to wear. Finally, for the fashion conscious there are many different styles that you can choose from. Another welcome evolution in adult incontinence supplies is the development of wipes and cleaners that are made to deal with incontinence. This means that incontinence sufferers will no longer have to deal with the damaging chemicals that can be found in some cleaning products. In addition, you can buy gloves, odor barriers, and even pants that have a waterproof lining. Another evolution in adult incontinence supplies is the fact that manufacturers have moved beyond simply making products that are worn and developing incontinence products that can be used to protect beds and furniture. These incontinence bed pads come in both disposable and washable styles. These incontinence supplies can also be found on sites that offer adult incontinence products. To find out more about all aspects of incontinence please visit http://caregiverpartnership.com/landing/incontinence.